YI Dash Cam Review: Is a YI Dashcam Right for Your Car? Between distracted drivers, drowsy drivers, drunk drivers, and drivers who just aren’t as cautious as they should be, there’s no denying that driving can be a dangerous activity. When accidents happen, a dashcam can help protect you from false accusations and insurance hikes. 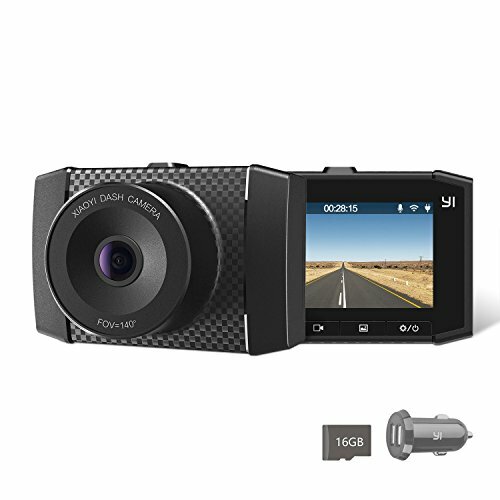 YI Technology offers four affordable, HD-quality dashcams to document your drive. In this review, we’ll give you the lowdown on each of them to help you decide which YI dashcam—if any—you should install in your car. Each of YI’s cameras has full HD video quality, loop recording, a G-sensor, and a lens angle of at least 130°. They also all connect to the YI Dash Cam app (available on both Apple and Android). The app lets you connect to your camera via Wi-Fi to watch and share footage. You can even share your dashcam’s live footage with your friends or your family—a feature nervous parents of teenage drivers might enjoy. 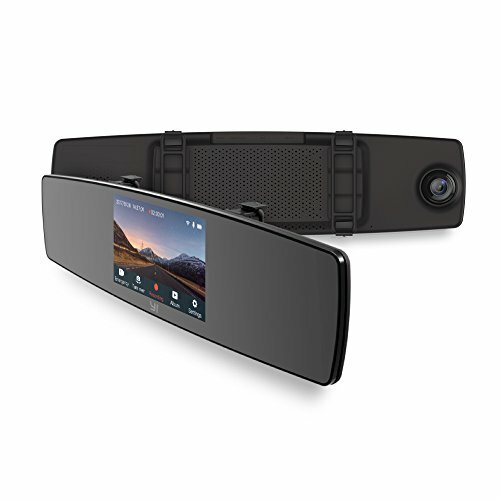 Despite these shared features, each of YI’s dashcams distinguishes itself with unique pros and cons. Let’s break down what sets each YI dashcam apart. The YI Smart Dash Camera is an Amazon best-seller with plenty of positive reviews. You can easily find the Smart Dash Cam for around $50, making it a relatively affordable dashcam. Keep in mind, however, that it doesn’t come with an SD card. You’ll have to buy one separately before you can use your Smart Dash Camera. Even with this added cost, the YI Smart Dash Camera remains in the sub-$100 range—not bad for a 165° view of the road ahead in full HD. The YI Smart Dash Camera’s real selling point, however, is its Advanced Driver Assistance Systems (ADAS) feature. ADAS uses your camera to give you real-time warnings as you drive. If you start drifting out of your lane, ADAS will detect it and provide an audible warning. Likewise, ADAS can detect and warn you if you get too close to the car in front of you, helping you avoid a collision. Newer cars may have ADAS-like features built in, but if you drive an older car, the YI Smart Dash Camera offers a simple way to buff up your car’s safety features while enjoying the functionality of a dashcam. Size: 2.9 x 2.1 x 1.3 in. Like the Smart Dash Camera, the YI Compact Dash Camera offers full HD recording at an affordable sub-$50 price point. 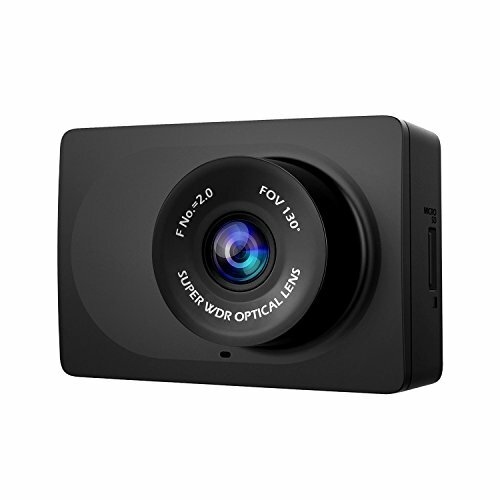 In fact, the Compact Dash Camera is YI’s cheapest dashcam offering, though you’ll want to factor in the cost of the SD card you have to buy separately. Despite what the name suggests, the Compact Dash Cam has similar dimensions to the Smart Dash, only the features have been downsized. You won’t find ADAS on the Compact. Likewise, the Compact Dash Camera has a smaller angle of view than the Smart Dash Camera—130° vs. 165°—and a lower frame rate—30 frames per second vs. 60. It’s true that 30fps will work for most people’s needs, but there are times when your frame rate could be the difference between a blurred license plate and a readable one. Given that the Smart Dash Camera offers a higher frame rate and ADAS for just a few dollars more, we recommend skipping the Compact Dash Cam and upgrading to the Smart Dash instead. While all YI’s cameras record HD footage, the YI Ultra Dash Camera boasts an even higher 2.7k resolution. We like the idea of getting even clearer, crisper footage, but keep in mind that most popular dash cams do just fine with 1080p. The Ultra’s extra-high resolution looks good, but it’s not necessary to get usable footage. The YI Ultra also has voice control functionality—but it’s very basic. You can command the Ultra Dash Cam to start recording or to take a picture. We like that the YI Ultra gives you some control over the camera while keeping your hands on the wheel, but we wish it included commands for locking or sending footage. These features make the Ultra Dash Cam the most expensive of YI’s offering, coming in around $100. That price includes an SD card—it’s the only YI dashcam to include one—though you’ll probably want to buy another one anyway, as 2.7k footage will fill the included 16GB card in no time. Size: 3.3 x 2.2 x 1.4 in. The YI Mirror Dash is actually two cameras: a front-facing 1080p dashcam and a 720p rear-facing cam that attaches to the back of your car. Both cameras display footage on a mirror/screen combo that you attach over your current rearview mirror with elastic straps. The Mirror Dash’s dual cameras give you a uniquely comprehensive picture of what’s happening outside your car, which could come in handy should you get rear-ended—an event most dashboard cameras wouldn’t record since they face forward. While we like the idea of the Mirror Dash’s combination mirror/screen, consumers report that the screen function works much better than the mirror function. The mirror doesn’t auto-dim at night, which could leave you fumbling to manually dim it while you’re blinded by someone’s high beams. Plus, several consumers say that the Mirror Dash’s low-tech installation means that the mirror moves and vibrates too much to be useful. The Mirror Dash sounds good in theory, but we think the execution needs improvement. As an alternative, simply install two dashcams—one up front and one on your rear window. You’ll preserve your mirror’s functionality and capture better quality footage than you would with the Mirror Dash Cam. Size: 12.4 x 3.1 x 1.4 in. When you buy a dashcam for your car, you’ll want to look for a few important features. A wide lens angle—at least 130°, but the wider the better—ensures that your camera will capture important details. For example, it will show you whether someone ran a stop sign to your right, or whether someone on your left used a turn signal appropriately before merging in front of you. Similarly, HD video quality will help you capture usable footage. You’ll want license plates and road signs to be readable in your recorded footage, particularly in case of events like a hit and run accident. Look for cameras with a resolution of at least 1080p to maximize your chances of getting clear, sharp video. Of course, HD footage will quickly fill up your dashcam’s SD card, which makes loop recording important. Cameras with loop recording will record over unsaved old footage automatically. You’ll want to enable loop recording to make sure you never run out of room to capture an important event. When such events happen, a G-sensor ensures the event is both recorded and saved. It does this by detecting G-force activity and then locking footage of that activity. For example, if you’re part of a collision or you slam on your breaks, the dashcam’s G-sensor will detect the event and preserve the footage. It won’t be looped over or erased, so you’ll know your important footage remains safe. Each of YI’s dashcams has these important features; however, they don’t have a lock file button, which we consider a useful feature. On dashcams with a lock file button, you simply push the button to save footage of a given event. It’s another way to ensure your camera doesn’t record over an important moment. You can check out our list of the best dashcams to see models that have a lock file button. YI’s dashcams also lack GPS, which is a slightly more controversial feature. GPS provides your dashcam with precise information about your location and your speed, which can be useful if you have to defend your driving actions. However, this same information can incriminate you. For example, it could prove you were speeding at the time of an incident, calling into question your innocence. Some people prefer to turn off GPS for this reason. If you’re one of them, you might like a YI camera’s lack of GPS. Remember, even the best dashcam can’t compensate for unsafe driving. A feature-rich dashboard camera can help you avoid accidents and capture any incidents, but your first line of defense should always be alert, careful driving. If you want to start recording your travels, YI dashcams offer an affordable way to get the essential features you need. 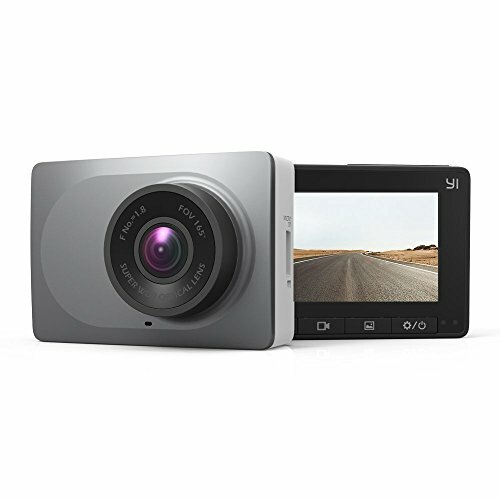 We recommend the YI Smart Dash Cam, which provides full-HD footage and unique safety features at an affordable price point. YI’s other dashcams have interesting concepts, but the Smart Dash Cam has the best execution and will meet most people’s needs. If you’re interested in pairing your dashcam with a vehicle navigation system, check out our review of the best car GPS systems.